You can have a great conference, but that’s not enough to increase conference attendance the next year.To keep people coming back year after year, you need year-round engagement. To help you streamline some of your efforts, here’s a few ideas on how you can make your next conference even better. Your marketing efforts for your conference should not be the same for people who have never attended and people who attend every year. Nor should you assume that because someone has attended for the past two decades that you don’t have to include them in your marketing efforts. While return attendees are an easier to attract than someone who has never visited your conference, they still need to be targeted with interesting learning opportunities, and feel there is still something of value in order for them to attend. Activities in the host city: return attendees need to get excited about the host city too. Don’t leave this crucial marketing component out. Incentives- You can offer incentives to companies that return to your conference year after year. Often past attendees know whether they plan on attending the next conference by the time early-bird registration opens. If you don’t hear from them immediately, reach out. It may have slipped their mind or they may be on the fence. Hearing from you may sway them into sending in their money. Not everyone sees every social media post or reads every one of your newsletters. While they may remember your conference is in June, they may not remember early-bird starts in March. Reminding them may be the difference between them attending or deciding to spend their time and money elsewhere. Sometimes at conferences you’re unable to say good-bye and exchange information with all the attendees you would like to. People’s travel schedules or work demands sometimes get in the way of attending the final session. One of the top reasons people return to conferences each year is the relationships they forge or rekindle while attending. An online community through your association, or dedicated to your event, can help attendees stay connected. Another reason people come to your conference or annual meeting is because of the continuing education sessions. An online community can provide a forum for more in-depth discussion about the topics presented (post conference) or build excitement about what they’ll learn at the next conference. Pictures from last year’s event inviting people to tag themselves. Polls about favorite foods or favorite aspects of last year’s conference. Encouraging members to share their pictures of the host city or suggestions of where to eat or tour. Any post that encourages answering or sharing that can be done easily and without embarrassment. Make a time-lapse video showing the activity of your conference this year and use it next year to market your conference. 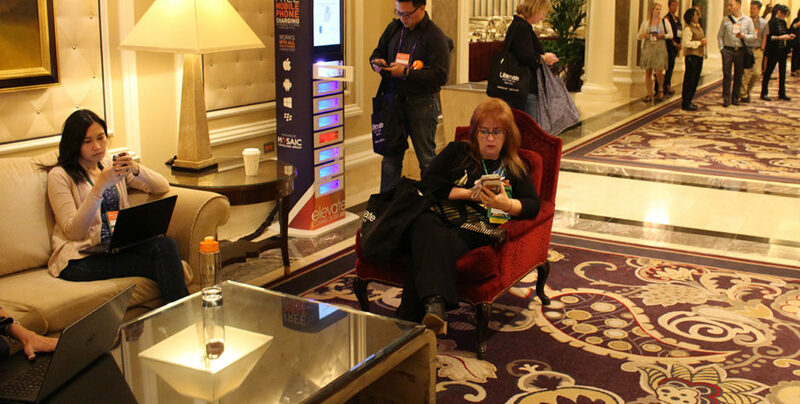 To retain past attendees you must engage them year round. You can accomplish this through interactive posts on social media, consistent messaging through your marketing efforts, and even by creating an online community. Use these tips to keep them talking to one another and about your conference. When they do, make sure you’re there to continue the conversation and stir excitement.